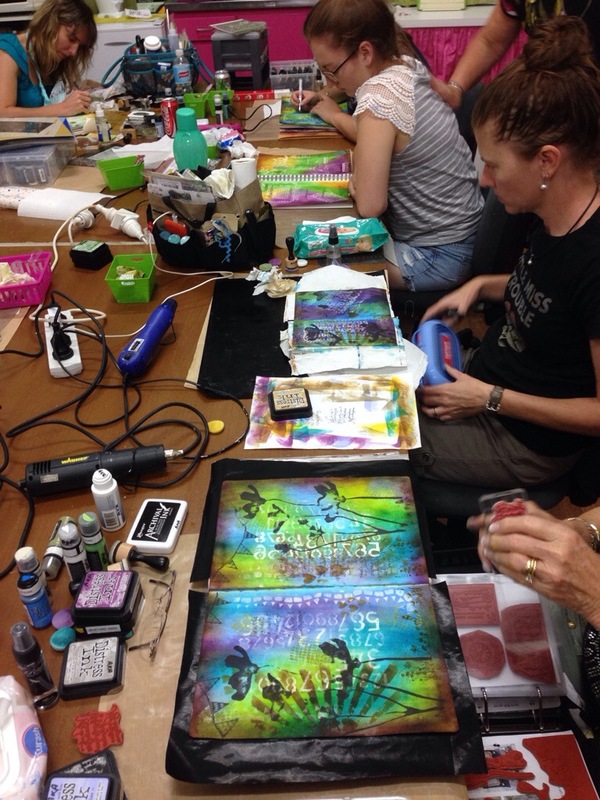 So… last night was great, we had a room full of enthusiastic creative ladies all getting painty and inky with stencils and stamps doing the “Tim Holtz thing”. They had such a fun time, learning a few new things along the way with their teacher Michelle being very patient and informative. 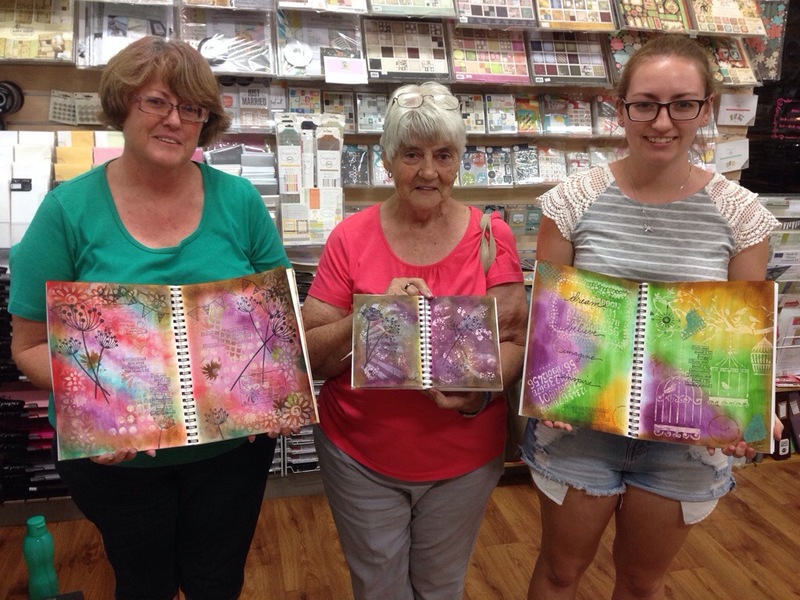 We had 3 generations attend tonight, I can see that the creative streak runs strong in that family, all newbies to Art Journaling and they did a fabulous job! Looks like we have some newly addicted crafters. 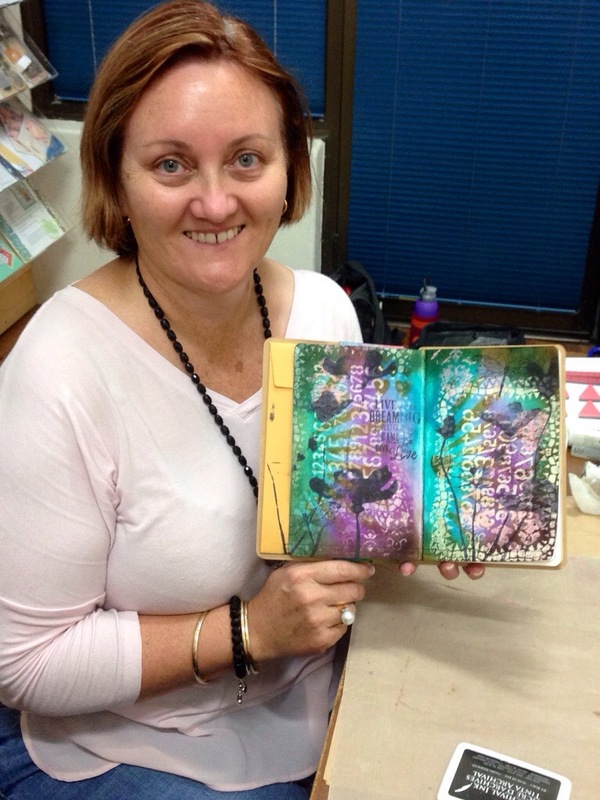 I remember the days when Mum and Nanna would come along with me to Ceramics all those years ago… I treasure those memories of cold nights out in the ceramic studio (the shed) where we would painstakingly sand back our creations then try not to mess them up as we painted them. Oh I loved our nights together. 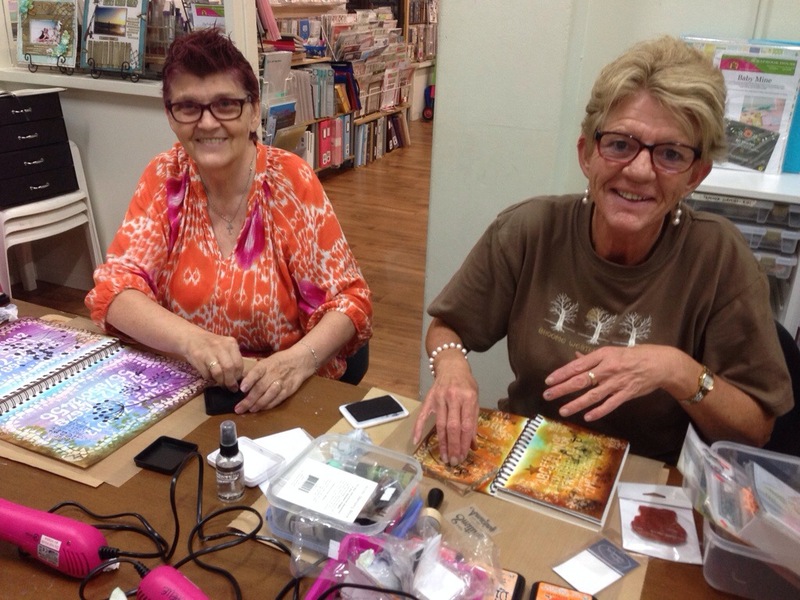 Thanks so much my art journal friends, it was a great night to spend with you all. I loved catching up with you again, some I haven’t seen in a long time, some I see all the time – its always nice to see your smiling faces. That’s it for photos tonight, my phone is exhausted and so am I… it’s been a very big couple of weeks. Time to hit the hay. Tomorrow is another day to share more. We have leftover kits available for Term 2, so if you’d like a place in our class, now is the time to say so. 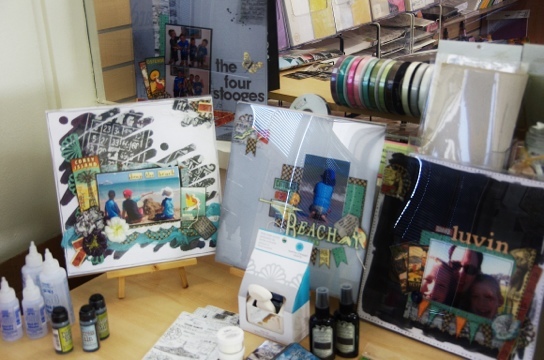 If you can’t come to class that’s ok, each kit has full instruction and a photograph, plus photographs of more layouts to make with your leftover once the class is done. There are Five classes in the term and the term costs $150. 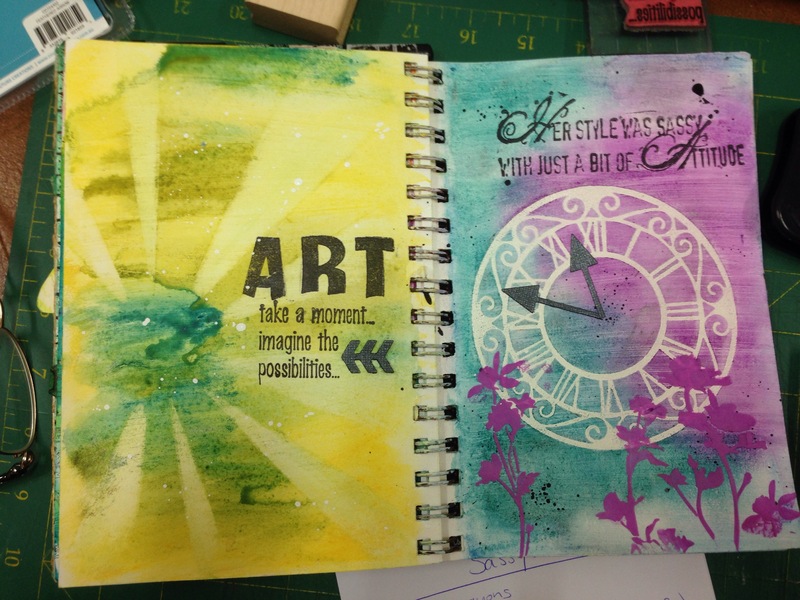 Each class is a different style by a different designer to give a well-rounded scrapbooking experience over the next ten week. Class One comes with one Black Distress Ink to get you started. 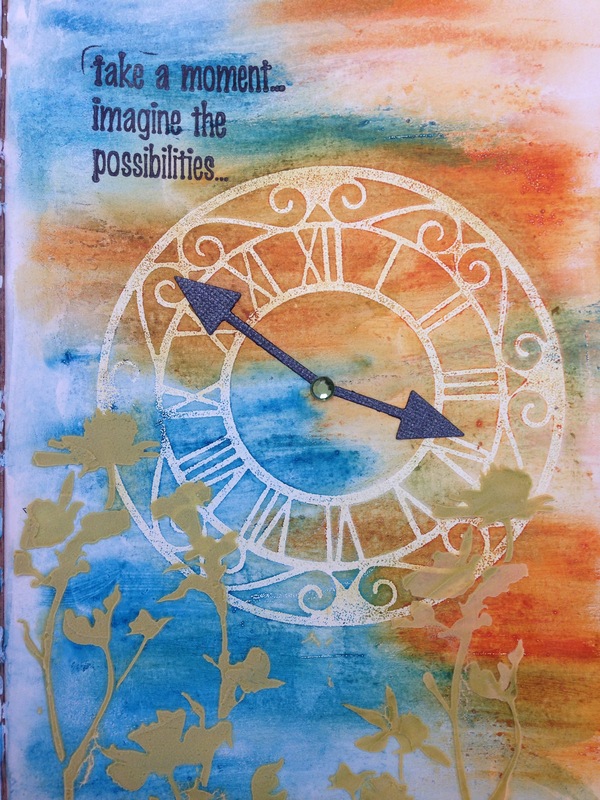 The background is embossed with white and the Crafter Template – Bingo, which we will do in class, but those who purchase as a remote student will have this part of the class pre-done in case you don’t have all the tools needed for this step. Here is a pic of our first class. 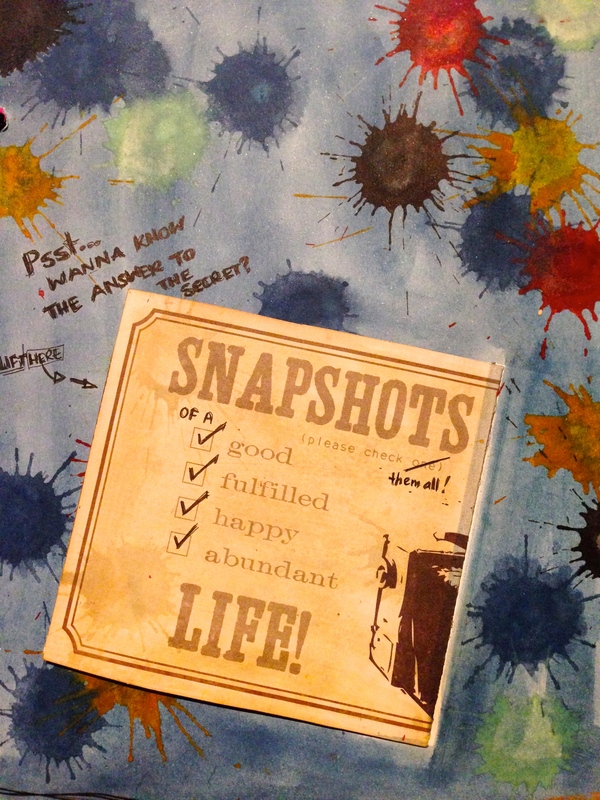 Our kits are fun and full and our designers have created extra pages using your leftovers. These photos are included in your instructions each fortnight. You just need to add your background card to suit your photos, in this case it’s a couple of smokey colored Bazzils and another white. 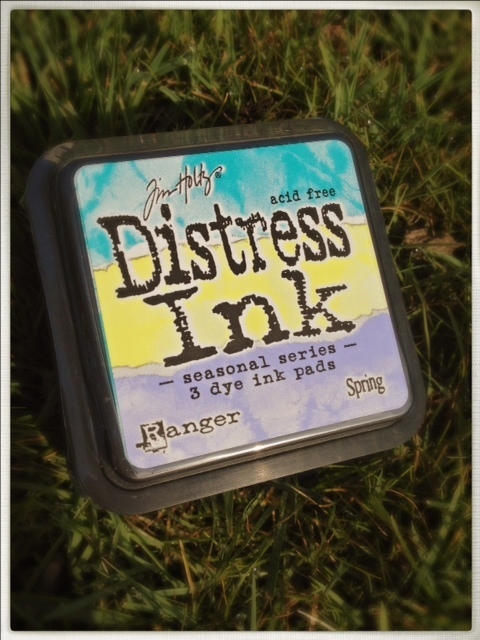 The new inks are out by Ranger, these colours are going to be a hit, especially that teal colour. I am pretty happy also that I can now get reinkers for the special edition sets. My “Gathered Twigs” is looking a little sad and I dreaded having to say goodbye to my new favourite brown, I use it on everything! Thanks T!m… We love you! But if you can’t wait to learn in Sharon’s fabulous class, then check this link out for a quick lesson. Really it’s so easy, you gonna love them! You’ll wonder how you did without them! So, with our first class you will receive one black distress stain ( so don’t buy that one) but you will also need one more to suit your layout. Its not just the colours pictured either… They come in ALL the distress ink colours that we have come to know and love – and we stock every single one! We have every ink, every refill, stain and also distress stickles in the range. 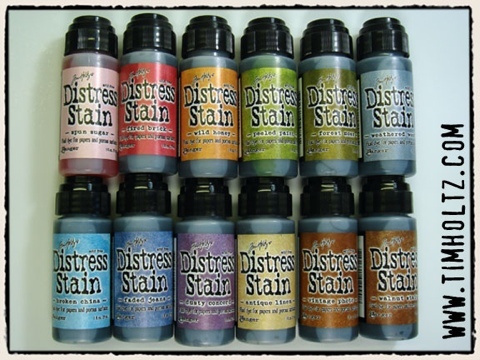 We also have a few of those limited editions distress ink sets of 3 if you were after them. I love these chipboard words, shapes and off-the-page products. Because they are sold ‘raw’ (or “naked” hee hee) you can do so much with them. Ink them, Glimmermist spray them, or cover them with papers. 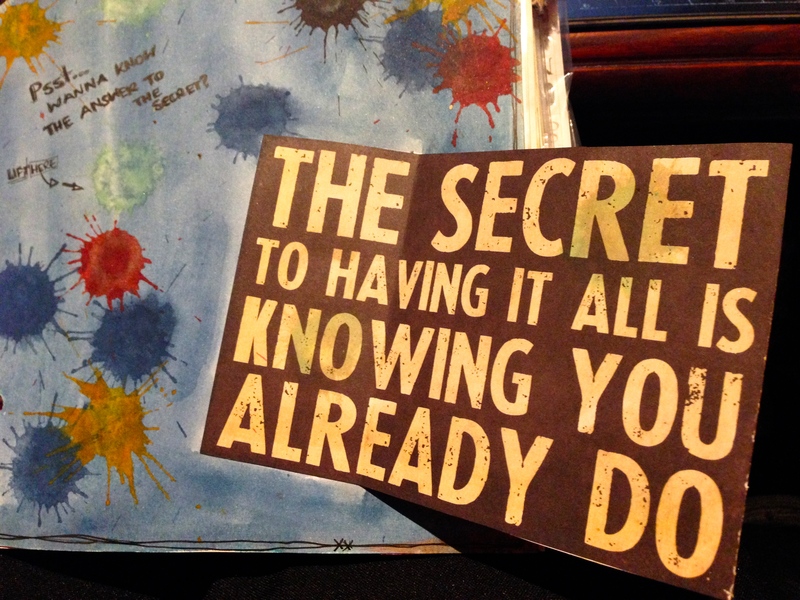 You can paint them or chalk them or add crackle mediums and texture paste and go to arty-town~! We have so many of these chipboard babies in store already, but I am doing another order soon, (they KEEP bringing out new stuff!) so please head over to the ScrapFX Website and take a look at their awesome range of products. If there is a piece you’d like, flick me an email (Contacts at the top of this page) and I will add it to my next order. I love Michelle Logan’s work, she is on the design team for Scrap FX, and if you have another minute (and you KNOW there is always another minute on the computer.. just one more minute…) head over to her blog and check out the creation above in more detail as well as many other works! 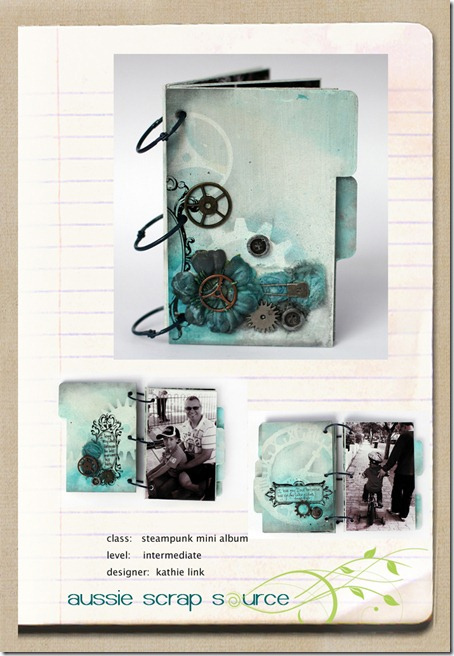 Also… check out the Scrap FX Gallery for lots of cool pages, each listing the items used… so easy for you to re-create. Here is a layout completed recently on a ‘Winter Girly Weekend’ and it was documenting our previous ‘Summer Girly Weekend’. 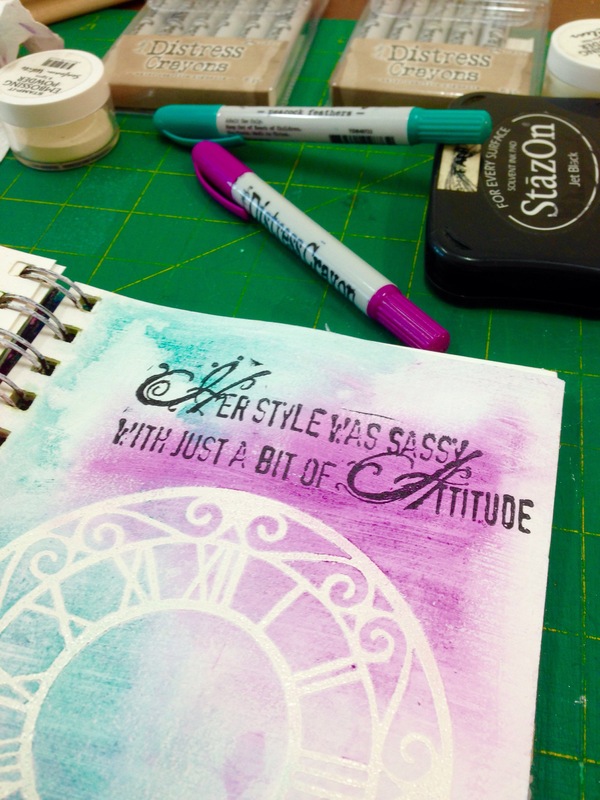 I used Pink Paisley paper and glimmermisted it, then stamped with a script stamp in a few places. 7 gypsies rub-ons (love the colours in these) were added, then Prima and Tim Holtz ribbons are layered up (and misted) as well as a punched border using black card. 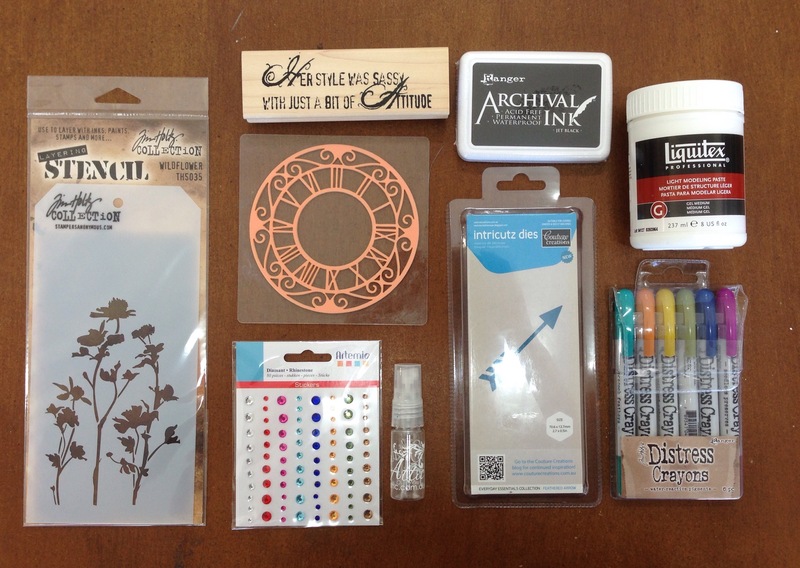 The lamp post is Cricut cut using Heritage, and then a few Prima flowers (and one from Petaloo) Hidden in there are some filmstrip ribbon by Tim Holtz ,some Martha butterfly punches and a new trinket by Bo-Bunny. The scrolls are Twiddleybitz Nero range and the title is by Scrap FX. This is painted white, then sprayed with glimmermist. It is also backed it with black and hand cut. 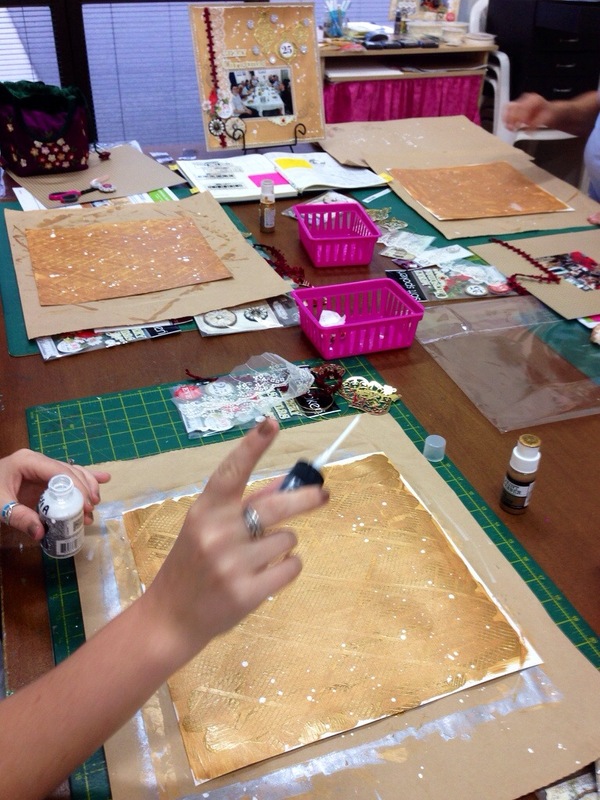 Scrap FX is a laser cutting and etching business, designing and manufacturing cardboard (chipboard), acrylic, wood, and paper products for wholesale in the craft industries: scrapbooking embellishments, cardmaking, titles, handmade invitations, home décor and more. 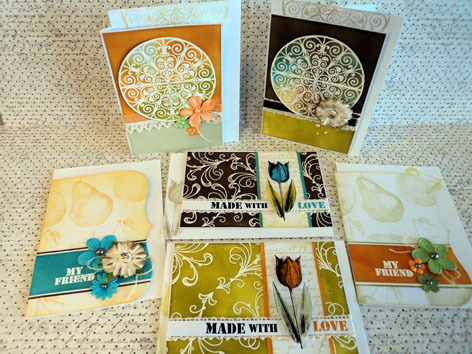 Thursday nights cardmaking class and we will be making these using White embossing resist techniques and Distress inking. All the colours you see are using ink – we start with white cards! 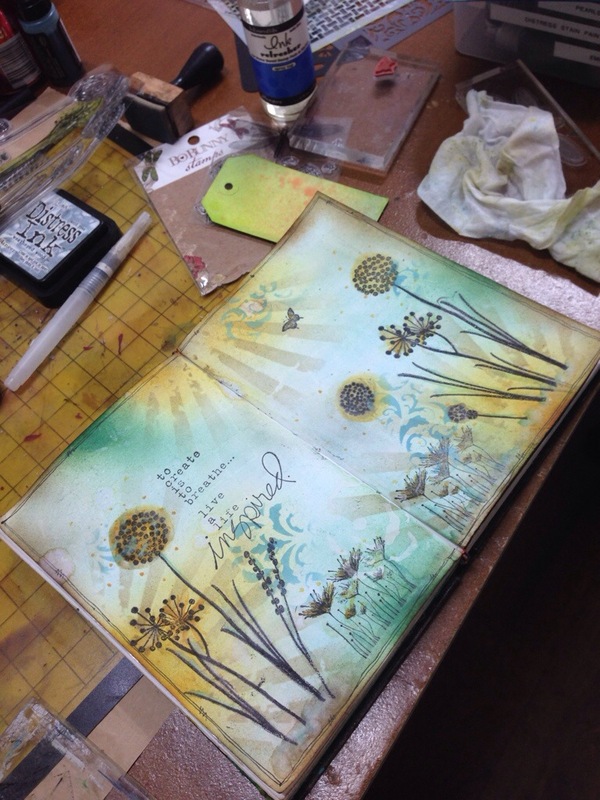 Join us this Friday night and create this terrific little wooden paged album with Tim Holtz flair, using his new ribbons, along with glimmermist, masks, rub ons, and decorated with ideology pins, buttons, sprockets and gears. 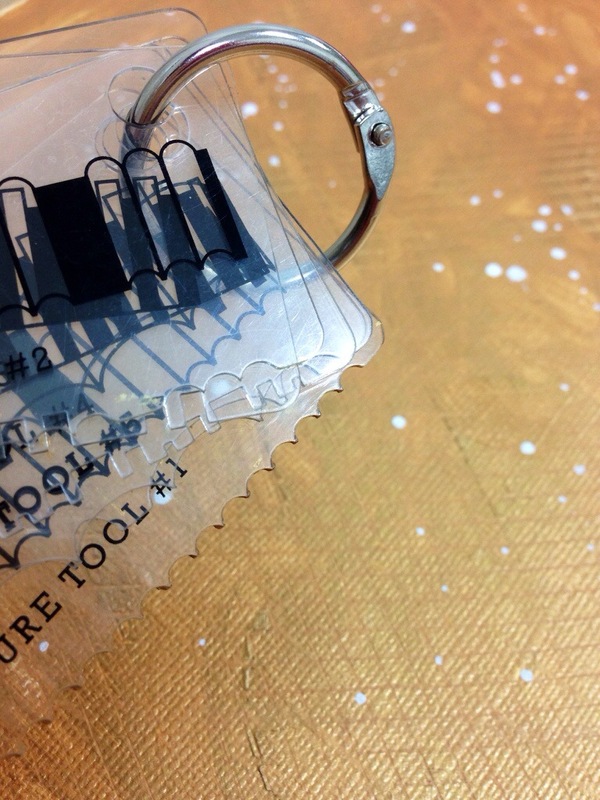 You will need to bring your regular kit plus some white paint (or gesso) and 4 Black & White Photographs.